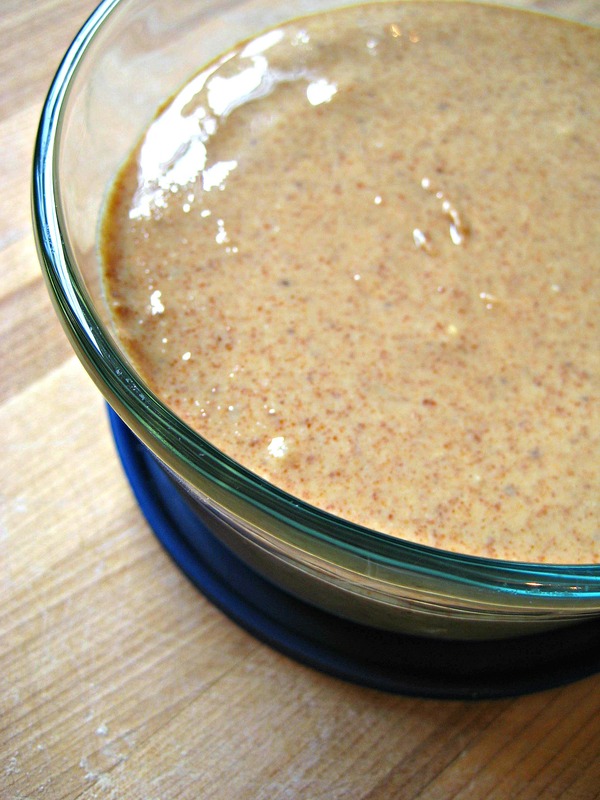 Agave Roasted Almond Butter and an Inspiring Blog Award! Tell 7 things about you that will not come up in your blog entries. Pass this on to 15 other bloggers that you find inspiring. Firstly, thank you so much for the nomination Emma, it is so wonderful to know that not only at least one person is actually occasionally reading my blog but enjoying it too, that makes it all worthwhile. 1. Rarely a day goes by that I don’t complete at least a Sudoku and a crossword puzzle and sometimes I even do the Jumble. 2. I almost exclusively watch and read non-fiction. I have seen hundreds (thousands?) of documentary films and love a great memoir more than just about anything. 3. I am 38 years old but I don’t feel a day over…well actually, I pretty much feel 38. 4. I take all the pictures for my blog with an old funky point and shoot camera. Luckily it has a weird macro setting that works pretty well which is why all my photos are close-ups, everything else turns out blurry. 6. The Beach Boys Pet Sounds is one of my absolute favorite Cd’s. I don’t see how anyone with a heart could not love it. 7. Contrary to popular belief, watched pots do if fact sometimes boil, I’ve seen it happen. Now the fun part! The following bloggers have all inspired me in one way or another; for being crafty, for showing that healthy food can be good food, for sharing their journeys, for sharing their wisdom or for just being regular people with stuff to say. So this recipe is quick and easy, the only special equipment you need is a food processor. In a rimmed baking sheet lined with parchment paper (not foil or wax paper!) spread the nuts in a single layer. 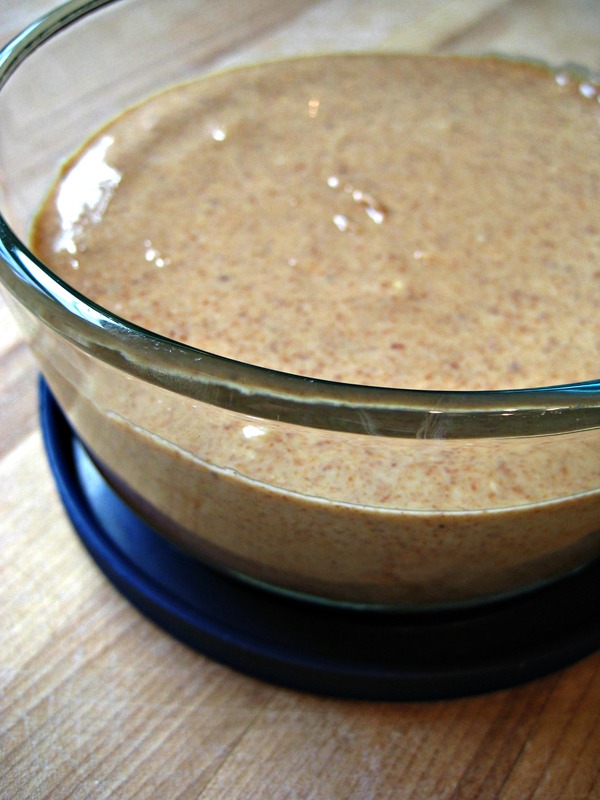 Pour agave nectar over the nuts and mix until all the nuts are covered then spread them into a single layer again. Roast in a 300 degree oven for about 20 minutes, stirring halfway through. Let the nuts cool for about 5 minutes and then add them to the bowl of your food processor. Process until smooth, this should take about 10 minutes or so of processing. You will need to stop and scrape down the side a few times. If the mixture is not drippy after 10 or so minutes add a tsp. of oil and continue to process, that should do the trick. When you have reached a consistency you like, add the salt and pulse a few times to combine. Transfer to a container and store at room temperature. My word, this must be award season! That really means so much to me, thank you so much! hey hey 😀 thanks so much for the award! Just another excuse to come check out your lovely blog, too – you always have such amaaazing recipes and photos! Wow! Thank you for the nomination. I think your blog is more inspiring than mine, so this is such an honor! I love watching doco’s and memoirs too. Fact is always stranger (and usually more interesting, beautiful and inspiring) than fiction.